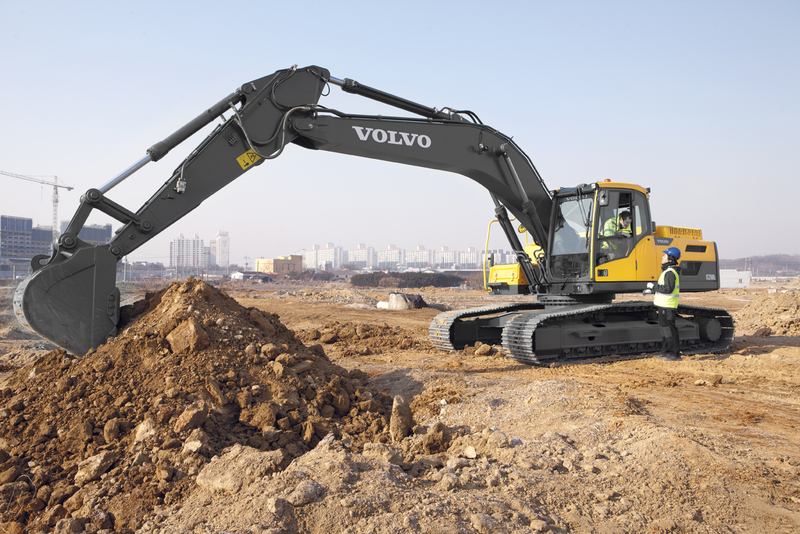 Andy Pye explores how engineers at Volvo Construction Equipment have made progress in solving the whining noise in the gears of small wheel loaders. VCE designs and manufactures haulers, wheel loaders, excavators, road development machines and other construction vehicles. The company’s large development and testing centre with more than 900 engineers involved in research, development, testing and prototyping in Eskilstuna, Sweden, relies on LMS SCADAS hardware (for data acquisition) and LMS Test.Lab software from Siemens PLM Software. One of the issues that VCE has been working on for some time is eradicating an irritating whining noise in the driver’s cab of small wheel loaders, perceived only at high speeds (greater than 2,400rpm) and at the ninth position of the prop shaft. At that point, the noise level increases by more than 5dB, while the noise level growth should be linear. An initial investigation into the root cause of the noise bore no fruit. VCE tried using other gear/crown wheels, tested different cab mounts, improved the gear quality and put in completely new axles but the axle gear noise was still a problem. In a subsequent attempt to solve the issue, the team tried two approaches taken from the LMS Test.Lab acoustic testing portfolio. First, an operating deflection shape (ODS) analysis was performed on the front axle to assess the vibration pattern during operational conditions. ODS measurements were performed in 10 rounds using 60 accelerometer positions, a very time-consuming approach, with a particular focus on the deflection pattern at 2,520rpm when the whining noise in the cabin peaks. The test engineers noted that the vibration levels are indeed high at that speed, as are the interior noise levels. Yet the noise peaked at around 3,000rpm seemed unrelated to high vibration peaks. A third approach, which involved close cooperation with LMS Engineering services, led to more conclusive results. The test team positioned three sensors on the front axle – one on the left and one on the right drive shaft, plus one on the pinion shaft – and measured the displacement inside the casing during acceleration. It showed that the displacement was much larger at the side shafts than at the pinion shaft in the ninth prop shaft position. Moreover, the peaks in casing vibrations at the pinion bearing were clearly linked to peak displacements at 210 and 375Hz. These and further observations made it clear that the front axle was causing the whining noise. Following this result, the engineers decided to gain a deeper insight into the problem via torsional vibration analysis. Two laser sensors, one close to the rear and another one near the front flange of the front axle prop shaft, revealed a clear peak in torsion-based resonance in the driveline at 370 Hz. Putting all the pieces of the puzzle together, VCE engineers could conclude that the torsional mode is responsible for the high excitation from the front axle at 2,400rpm. So they knew they had to improve the quality of the gears to reduce the vibration. In the meantime, methods have been proposed to resolve the issue. Based on further tests, the team determined that adding a mass of approximately 10kg will change the dynamics of the shaft and improve its behaviour. A tuned mass damper could help as well if no prop shaft configuration is good enough. “There’s still a way to go, but at least we know we’re on the right track now,” says Renderstedt.